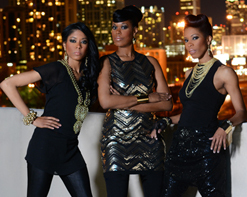 Atlanta’s V3, comprised of real life sisters Shelley, Sacha, and LaToya Vinson, are a contemporary gospel group that have been drawing in audiences with their tight familiar harmonies since their self-titled debut. The album, released in 2006 on EMI Gospel, introduced the trio, with their tight, familiar harmonies akin to legendary gospel groups like The Clark Sisters and The Winans to a global audience. After years of building that base, and their own time at home focusing on the church ministry, family and business ventures, they are back with their brand new album, appropriately titled Alive, available on Q-Son Records, Ltd. The daughters of a non-denominational pastor, they’re excited to release the first album they can truly consider their own. Alive is an eclectic mix of music infused with elements of Pop, Contemporary Christian, Gospel, Reggae, Hip Hop and Urban musical styles laced with unapologetic messages about their faith. The title track, “Alive,” is as real and literal as any video you’ll ever see. The song is their testimony to surviving a horrific car accident in Detroit. They tell the story, moment by moment, about their lives changing in an instant. The incident was tragic and heartbreaking but ultimately a blessing that no one lost their lives, though they were forever changed by it. It is also a testament to their belief in God and how he kept them safe throughout the ordeal, and has inspired them to continue living a life of faith and devotion. The video recreates some of the moments, but ultimately it’s the performance they put out on camera that is the star of the clip. With their propulsive band behind them they attack the camera with a ferocity and conviction behind each and every word. The wreckage of cars spread behind them reminds us of their inspiration and that these are the life events that will shape their lives for years to come. On the second video, “Around The World,” the theme is a celebratory one. According to LaToya, “That song just speaks to giving your life to God and shining your light around the world. And that is our prayer that God would take us around the world.” The video takes place inside of a throbbing nightclub with laser lights flying left to right behind the girls as they captivate the audience. The beat is infectious and as the room moves in unison, the girls have the crowd captivated by their every word. Here at HIP Video Promo, we’re all very happy to be working closely with the V3 team to help bring their message to an even larger audience. We’re confident that both of these Kyle Scott-directed clips will be warmly embraced by your viewers! Please hit us up and let us know what we can do on our end to help get these videos into your programming. 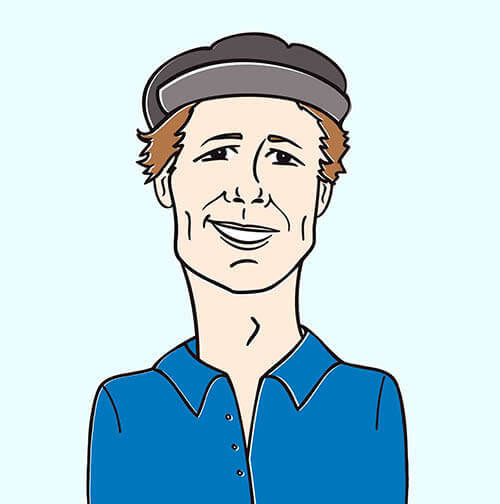 Please contact Andy Gesner and the HIP Video Promo team at (732)-613-1779 or email us at info@HIPVideoPromo.com . You can also visit http://www.V3Worldwide.com/, http://www.virtuosomusicanddistribution.com/ or http://www.QSonRecords.com.